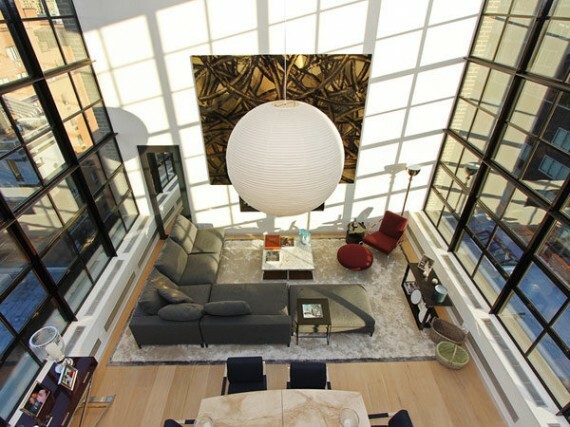 Located in the hustle and bustle of the Big Apple this modern duplex was designed by Cary Tamarkin. 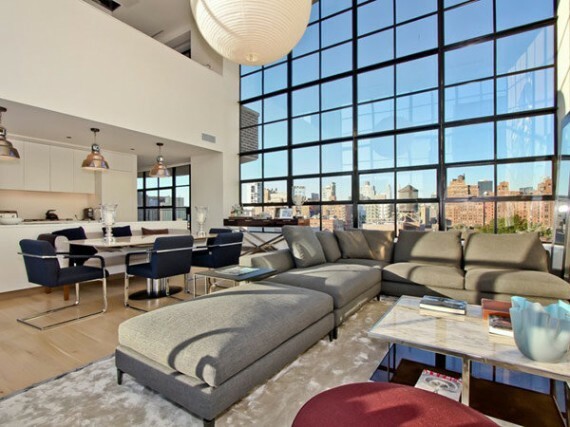 The penthouse is perched atop the building with a bird’s eye view of the Hudson River, the Highline Park and the dynamic New York City. 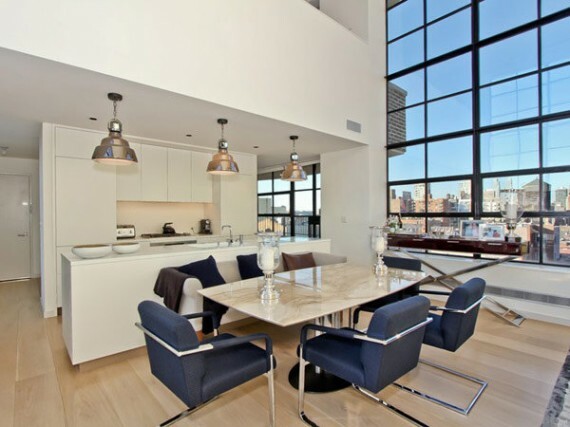 The designer has created such a fabulous apartment design that is indeed befitting of its envious location. Let’s have a look at some apartment décor ideas and draw inspiration for recreating some magic into our homes. The enchantment of this place begins with its majestic city view on all four sides. 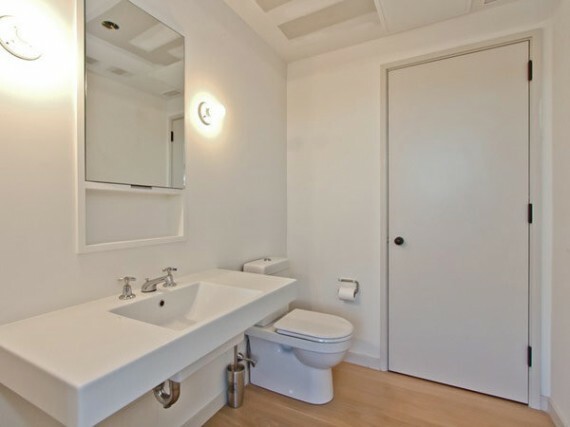 This modern duplex features an impressive 2350 sq. ft. living area, 6 bedrooms, 3 bathrooms, a kitchen, a dining room, a living room and its own private roof with an outdoor space, perfect for parties. 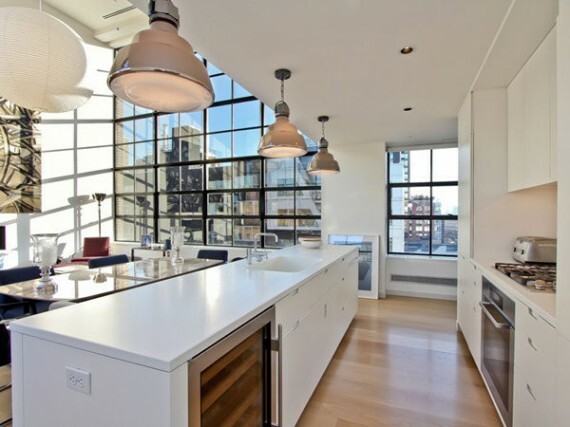 Tamarkin has removed the partition that separates the kitchen and the living room fashioning more luxurious open space. He has transformed the interior so skillfully that it has a fluid, free flowing space, yet all parts are seamlessly connected to each other. The furniture features vivid colors and upholstered seating and generates an aesthetic beauty. The sofa, the chairs, the tables are enormous so as not to be dwarfed by the colossal size of the penthouse. 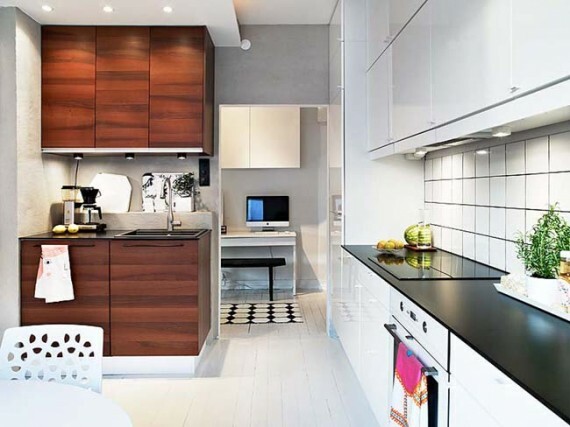 The kitchen has white lacquered cabinets with a smooth sleek design, and a kitchen island equipped with counters. This area overlooks the dining space which is as apt as the designer has kept in mind family entertainment or gatherings with friends. One can create masterful dishes in the fully equipped modern kitchen and enjoy a glass of wine with friends in the living room area at the same time. This modern duplex is the sanctuary of leisure and solitude amidst the chaos of city life.